Oh snap! Kitty's busted - and she's not the only one. Need I really say more? 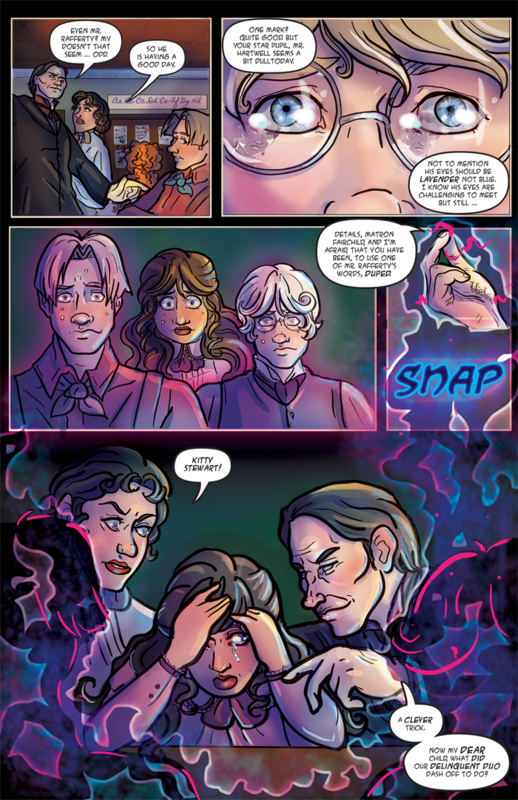 Well, maybe that it takes some skill to even use magic under Headmaster Lamprey's nose at all. It also takes guts - Kitty must like those sneaky boys. Getting busted, though, definitely not good for all parties involved.